Missing teeth aren’t only detrimental to your physical health, but to your quality of life, too. 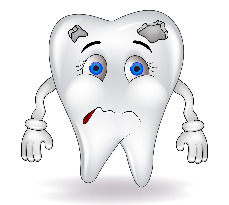 Without the proper support for your jaw, even your facial features start to droop in the absence of teeth. That’s why it is vital that you find the best method for you to restore your smile. At Rockefeller Cosmetic Dentistry, we offer a wide range of affordable cosmetic dental options for tooth restoration, but none quite as long-lasting, comfortable, or advantageous as overdentures. Also known as overlay dentures, overdentures are a set of custom-made replacement teeth supported by remaining natural teeth or small titanium anchors called dental implants that are permanently placed in your upper and lower jaw bone. Overdenture implant therapy is prescribed to patients like yourself who are missing several or all of your teeth, allowing you to regain the quality of life you may have lost along with your teeth. Promotes strong digestion. 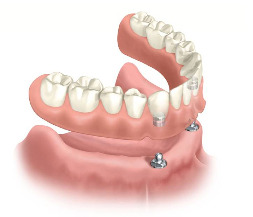 Due to increased stability provided by implant support, overdentures fit better and move less, allowing you to chew your food fully and comfortably. Slows Bone Loss. Because overdentures put pressure on your jaw when you talk and chew, it forces the bone to continue working to stay healthy. Resorption (shrinkage) of the jaw bone dramatically slows with this pressure. Retains facial structure and features. 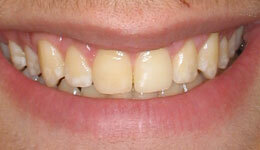 Along with the slowing of bone loss, overdentures ensure that your face maintains its shape. Naturally your face will begin to sink (especially the space between nose and chin) when teeth aren’t present to keep the jaw active. Overdentures stop this process. More comfortable. Implants secure the overdenture with much more stability than adhesives for dentures, preventing your teeth from moving unnecessarily while chewing and talking and reducing the chances of painful sores from dentures rubbing against your gums. Improved stress distribution for a longer-lasting smile. Because the implants distribute the stress of biting while chewing, pressure on your jaw is equalized, promoting jaw strength uniformly so you can keep smiling longer and more confidently. Not suitable for all patients. Good oral hygiene, strong remaining natural teeth, and the absence of periodontal (gum) diseases are all required to receive overdenture therapy. More expensive than dentures. Because of increased work on teeth to prepare them for overdenture installation, costs more than regular dentures, especially considering the cast-coping used to cover natural teeth. May require additional work on remaining teeth. 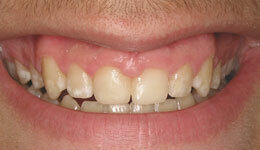 As mentioned, remaining teeth need to be ground down and prepared to receive the overdenture. This means more work on your remaining natural teeth, which could increase initial discomfort. Harder to actually fit. The variety of factors (including but not limited to the status of your remaining teeth) involved in fitting an overdenture make it more difficult to affix properly than traditional full-mouth dentures. Increased chance of cavities. Since your teeth will be permanently covered by the overdenture, excellent oral hygiene is a must for keeping cavities (caries) from infecting the area under your overdenture. 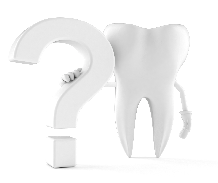 What is the Process of Getting Overdentures? It generally takes 5-7 months to fully install your overdentures (including all consultations, surgeries, and the actual overdenture placement) due to a variety of factors including necessary preliminary procedures (longer time if you need a bone graft, for instance). 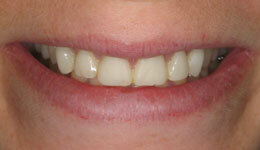 However, it’s well worth waiting for the end results — plus you’ll get a temporary denture for the interim. During your first appointment, you will meet with a dental specialist known as a prosthodontist who will review your dental history, capture X-rays, perform a CT (computer tomography) scan of your mouth, and create impressions of your teeth and gums to base the models for your dentures. A temporary denture will be created and given to you. This denture will also be used as a prototype for your permanent overdentures. That way, your dentist will be able to evaluate the best placement for your implants as well as get an accurate read on how well your dentures will fit. These temporary dentures can also be used as an extra set later in case your crafted, final overdentures don’t quite fit, or the temporary denture can be used as your final denture to cut some of the costs. One month later, we’ll schedule your first surgical appointment wherein your dentist will place the implants into the jawbone by cutting a small hole through the gums and drilling down into the bone, placing the implant, then sewing it all closed. It is recommended that you avoid putting unnecessary pressure on the implants — your temporary denture will be suited to put pressure elsewhere on your jaw. After your first surgery, your dentist will wait 3-4 months if implants were inserted into your lower jaw and 5-6 months if they were placed in your upper jaw. This time allows for the bone and implants to bond to one another, providing a steady base for your next operation. At your second surgical appointment (in 3-6 months), your dentist will take another set of X-rays to determine if the implants are ready to receive caps. Once your prosthodontist gives the go-ahead, he will then expose the tops of the implants and place a collar (healing cap) on each head, which serves to guide the healing process of your gums. In 10-14 days, another appointment will be scheduled to remove these caps and replace them with standard abutments which will eventually attach to your permanent retainer. Since your gums have by this time been given enough space to heal, your dentist will then be able to take an impression of your gums and abutments. This impression is used as a working model to create your final set of dentures. 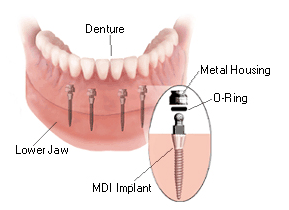 During this same appointment, metal bars are placed on the abutments and you get to try on your overdenture framework for the first time. Once in, the dentist will temporarily place teeth into the framework. 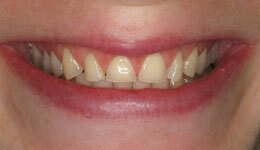 If everything fits, the teeth are permanently secured along with the bar or ball attachments. During your final appointment, your dentist will insert the completed overdenture by clipping it onto the bar attachment or snapping it onto the ball attachments. Voila, you’ve got your smile! 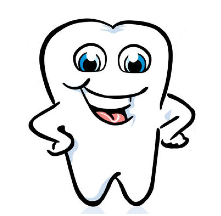 Good oral hygiene — remaining teeth must be kept very clean to avoid rapid decay. Good overall oral health — if there is a high level of dental decay, it will quickly destroy the remaining tooth meant to provide support for your overdenture. Also, the presence of gum disease will destroy the stability of remaining teeth, making the overdenture unstable and uncomfortable. Sturdy remaining teeth — these teeth must be able to be shaped and filed correctly, so there must be enough left over mass devoid of decay or cavities. Good positioning of remaining teeth — there are a certain number of locations that are helpful to supporting an overdenture, if your teeth are not in those positions, you might want to consider a different option. Find the right dentist near you to install your overdentures. Request a free consultation by calling us at (212) 581-1091 or visiting our appointment request page here. Our Ivy League trained staff of cosmetic dentists will help you choose the right treatment plan for you and our expert treatment plan coordinators will answer any and all questions about dental insurance and payment for your dentures. Don’t hesitate, call today and start the journey to your brand new smile!